Wild Yam, also known as Colic Root, is a perennial vine with a long history of use by indigenous peoples of North and Central Americas. It is also poorly understood, even today. Although the plant contains diosgenin, a compound used to make the first birth control pills, it cannot be converted to progesterone without the assistance of a lab technician so it is not biologically active in the body. The dried wild yam root is used to produce decoctions and tinctures, as well as infusions for topical use. appearance & aroma Fibrous and woody with tubers. cosmetic Add infusions and tinctures of wild yam root to skin creams and lotions. culinary Decoct to produce teas and tonics. The root may also be tinctured. safety Do not use this herb if you have a history of a hormone-driven condition or if you are pregnant or nursing. Combine wild yam root with chasteberry in teas and tonics. Infuse wild yam root in coconut oil for topical use. The root has a bitter taste. Wild yam is a climbing vine that is native to Central and North America and some parts of Asia. Although the heart-shaped leaves have a vanilla scent, it is the bitter root that is targeted for harvest. In contrast to other yams, however, wild yam has a non-edible, fibrous and knotted rhizome that is dried instead. Native Americans boiled wild yam root to produce a tonic to counter various inflammatory complaints, including indigestion and abdominal cramping. They also applied the liquid to painful, swollen joints. 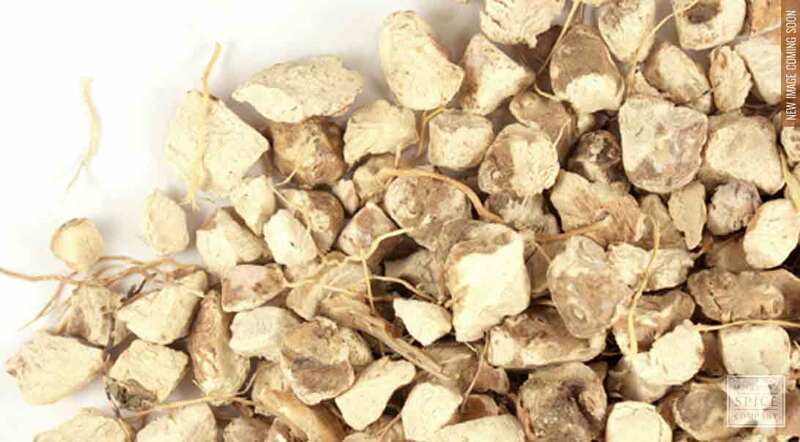 The effects of wild yam root, also known as colic root and rheumatism root, are largely due to steroidal saponins.